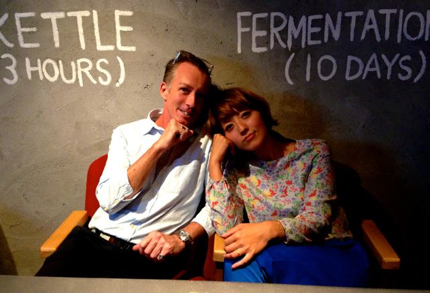 Welcome to the first edition of Brew Dog Beat – our very own radio program brewed in the creative fermenting Brew Dog Pub, Roppongi Tokyo!! Every week I DJ at Brew Dog for an evening of listening and drinking pleasure and each week a special guest music selector joins me – it’s a bit like Desert Island Discs. Occasionally we have acoustic live music performances too. I’ll record the guest interviews, their music selections and the acoustic live performances and produce a short radio program for you to enjoy every week. Brew Dog Beat edition 1 features the music selected by Japanese DJ and writer Sumire Twee who chose an all British girls selection – enjoy!! This entry was posted on Friday, August 8th, 2014 at 1:46 pm and is filed under Brew Dog Beat. You can follow any responses to this entry through the RSS 2.0 feed. You can leave a response, or trackback from your own site.